In the digital age, we’re surrounded by different forms of media – audio, eBooks, websites, and YouTube videos. We can’t escape them. No matter where we turn, we are interacting with a piece of media that has a purpose. For example, the parking meter payment center. It’s there for a reason. We use these different forms of media seamlessly as we go throughout our day. However, have you stopped to think about what allows you to use that media? Believe it or not, it all lies in the font. Yes, I said it. The font selection of the chosen media allows for an individual to effectively use the device. Everything hinges on the font. If a person can’t read the instructions or captions, how are they going to use the object? Exactly…they won’t. Choosing the correct font is important no matter what you’re creating. Whether it’s a 500 page manual or a checklist for Sally the house sitter, font matters. What can you do to choose the correct font and create an effective document? How can your font selection work in favor of your product and not against it? The first step to picking an effective and usable font is to know the purpose of your document. Without that information, you’re unable to select various design elements, including the font. If your purpose is to create a document that is laid back and non-invasive, you want to use a sans serif font. A sans serif font does not use serifs, or the fancy “feet” found on some fonts. Examples of sans serif fonts would be Arial, Tahoma, and Verdana. However, if you want your document to look professional and informative, use a serif font, or a font that has the “feet” on the end of each letter. This is Garamond. See how this text makes my writing appear more professional? Other serif fonts include Courier New, Georgia, and Times New Roman. 2. Choose readability over elegance. As we discussed at the beginning of the article, a font needs to be readable to allow your audience to effectively use your product. If your font is not readable, you will not attract a large amount of customers and, in turn, your exposure and profits are relatively non-existent. When reading, people want to do as little work as possible. They want the process to be natural, not forced. So, when you choose a script font instead of a simple sans serif font, you’re making the reader do more work, which turns them off. 3. Don’t change fonts too much. Too many documents create confusion for readers by switching fonts. I went to a website the other day to locate some information about a local business and I was bombarded with a different font on every page. As a general rule of thumb, select two fonts and stick with them. One font should be used for your headings and focus items (pull quotes, key instructions, etc.) while the other is used for your main text. These are called complimentary fonts. Take a look at various magazines and books to see how they use their complimentary fonts. If you use more than two, your readers will be confused and will stop using your document. 4. Unless it’s necessary, don’t use Times New Roman or Arial. What do you think when you hear “Times New Roman” or “Arial”? Most people would think something along the lines of standard, default, or basic. What do you want your document to be? If you’re like most people, you would probably say anything other than standard, default, or basic. See the conflict of interest? Yes, Times New Roman and Arial are great fonts. Don’t get me wrong; both are very readable and effective. If they weren’t, they wouldn’t be two of the most popular fonts. However, they don’t breathe creativity and uniqueness into your document. If you don’t want to go down the “standard” road with your font selection, choose Franklin Gothic Book (sans serif) or Garamond (serif). They are effective but not used too often. 5. Use effective, not crazy, formatting. Formatting is a big issue for a lot of people. Most people don’t know what formatting techniques are effective and which should remain unused. 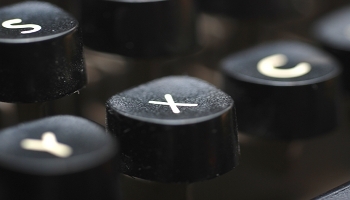 As a rule of thumb, you should only format key text, such as terms, phrases, or pull quotes. Formatting your entire text will create too much work for your users and will lead to an ineffective design. Also, try to stick to using only bold and italics. Other formatting, such as underlining, can really throw a reader off. 6. Try, try, try again. Once you’ve decided on one or two fonts for your product, change them. You don’t have to change them permanently but you should experiment with other combinations before coming to a final decision. You never know, you might find a more effective font to use. Font selection is critical if you want to design an effective document. Fonts can really change perceptions, attitudes, and even the buying habits of individuals. Make sure your font selections are on target. You will be glad you did.